Krysten Hill’s chapbook is as fresh as today’s headlines. It calls out a culture where women continually risk abuse, invisibility, and soul-killing erasures, and where black women are particularly threatened…. Hill’s poems include allusions to foremothers like Audre Lorde, Sylvia Plath, and Zora Neale Hurston. Like Lorde, she responds to sexism, racism, and injustice with passion and perception. From Plath, she’s learned to figure the details of her life in images that are fierce and arresting. Hill understands the power of narrative and savor of vernacular speech, both loved by Hurston. The result is a voice that is beautiful and raw, intimate yet public, both confident and vulnerable. We couldn’t agree more, and there’s no time like the present to head over to the Aforementioned shop and pick up your copy of How Her Spirit Got Out. Last Friday, Oct 7, we—Carissa Halston and Randolph Pfaff; cofounders, editors, and publishers of Aforementioned Productions—were in a car accident. The car was a rental (we were going to a friend’s wedding), and while we have collision insurance, we don’t have liability insurance. Neither of us have been to the hospital, though we both sustained minor injuries. But one of the reasons we didn’t go to the ER is we honestly can’t afford it. We pay for our insurance entirely on our own (that is, not through an employer). And we pay for Aforementioned the same way. With the exception of preorders, we pay for everything on our own. We’ve worked for free for eleven years, and we’ve lost money every year. We produced 24 online issues of apt in the first five years, and five years of weekly content after that. Five years of Literary Firsts. Nine books over six years. Hundreds of writers’ work: edited, proofread, designed, packaged, published, hosted, curated. For free. We know we’re not alone in this. We know how it goes: non-profits are labors of love. The problem is we suddenly can’t afford ours. And the fact is: we are Aforementioned. If we run into a financial problem, it makes it nearly impossible to continue funding AP. Since starting in 2005, we’ve never asked for financial assistance. We’ve never had a fundraiser. We’ve always paid for whatever we needed on our own. Over and above donating thousands of free hours, we’ve paid for web hosting, printing books, paying apt contributors, shipping materials and shipping costs, business cards, advertisements, book release parties, attending trade conferences, exhibiting at book fairs, travel and lodging for both, etc. At this point, we’ve invested tens of thousands of dollars into AP. And despite that investment, it’s still really difficult even asking for help. We wouldn’t do it if we thought we could avoid it. But right now, we need your support. We need help paying for the projects we’ve committed to producing in the next three months. 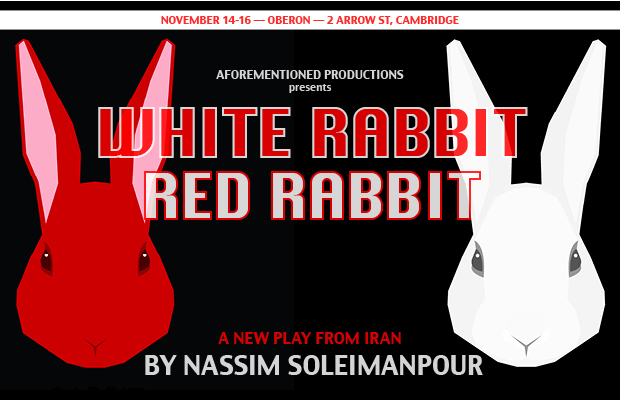 Namely, a very large expense: we’re producing a limited run of White Rabbit Red Rabbit at Oberon in November. The show will cost more than $4500 to produce. 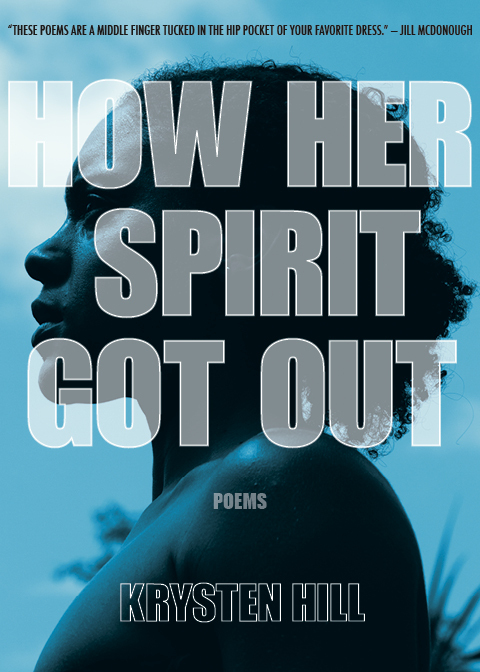 We’re also publishing Krysten Hill’s monumental debut, How Her Spirit Got Out, in December. 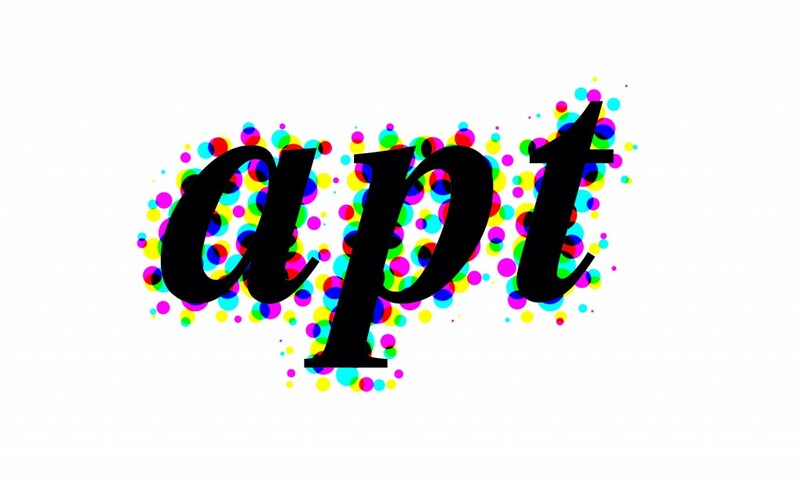 And in January, we’re putting out the seventh print annual of apt. These are expenses we had accounted for—until last Friday. To be clear, these projects are going to happen regardless of how much money we raise, but the truth is that future projects are in jeopardy because of the car accident. 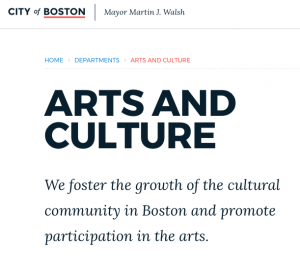 We don’t want Aforementioned’s successes to be contingent on our financial situation. We’re looking into possible ways to secure financial stability once we get out of this rough patch, but in the meantime, if you have the means to help out, we’d really appreciate your support. If you’re in the Boston area, the best way you can support us is by buying a ticket to see White Rabbit Red Rabbit. The show is running Nov 14, Nov 15, and Nov 16. Tickets are $20-$30. And if you need a reason to see the show, just check out the press and the cast. HOW CAN I HELP IF I’M NOT IN BOSTON? 1/You can send us a tax-deductible donation via GoFundMe! No matter how small (honestly), we appreciate every donation. And if you’re really committed to helping us out, you can even set up a recurring payment. 3/You can subscribe to apt: three years for just $30! And issue 7 is shaping up to be great–with work by Joanna Ruocco, Sonja Condit, Gregory Crosby, and more! 4/You can buy back issues of apt or any of our critically acclaimed, award-winning books! I DON’T HAVE A LOT OF TIME. CAN YOU JUST GIVE ME THE SHORT VERSION? If you’ve ever enjoyed any of our books, or a story or poem or essay at apt, if you’ve ever attended a Literary Firsts reading, or one of our book release parties, if you’ve ever come to one of our events and had a really great time, we hope you’ll support us now that we need it most. And if you’ve already ordered a book or bought a ticket to WRRR, thank you. We couldn’t continue running AP without your help. Presale for HOW HER SPIRIT GOT OUT! 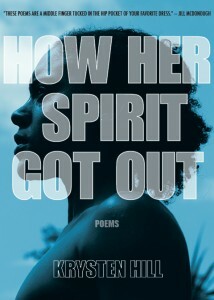 We’ve been hard at work prepping Krysten Hill’s debut chapbook, How Her Spirit Got Out, for publication this December. And we’re thrilled to say the book is now available for preorder! How Her Spirit Got Out is a lively, urgent song. Answering the writers whose voices raised her, Hill calls on Sylvia Plath, Audre Lorde, and Zora Neale Hurston to help her navigate the complicated landscape of selfhood. Hill’s speaker, wise and direct, open yet elusive, also sings for the women who brought her up: her aunt, her grandmother, and her mother. These spirits who’ve guided her life and taught her through example how black women persevere, have given her the means to bear witness to an age of racial violence. With intensity, audacity, and a darkly comic wit, Hill grapples with the question of how to fight “a city that knows you’re unarmed,” rendering each poem as a weapon and a shield, and using both for self-defense. And as always for our presales, we’ve got options and incentives for every budget: bundles that include broadsides, additional books (like issues of apt and chapbooks by Gillian Devereux and Michael Lynch), and copies of HHSGO with variant jewel-tone covers; poems written specifically for you; and, just in case you happen to be deeply committed to literary investments, you can also take a literary tour with Krysten to Sylvia Plath’s birthplace, Audre Lorde’s archive, and the Zora Neale Hurston house. But most important: Krysten’s book comes with each incentive. So, check out the presale and order your copy today—this book is going to leave you breathless. SPD sale + free shipping! Readers, have you been socking some funds away waiting for a great book to read? Your wait is over! Our dear distributor, Small Press Distribution, has launched a brand new website and a sale to celebrate! For the rest of the month, you can get 20% off Aforementioned titles and free shipping when you order through SPD! Just use the code SITE when you check out. 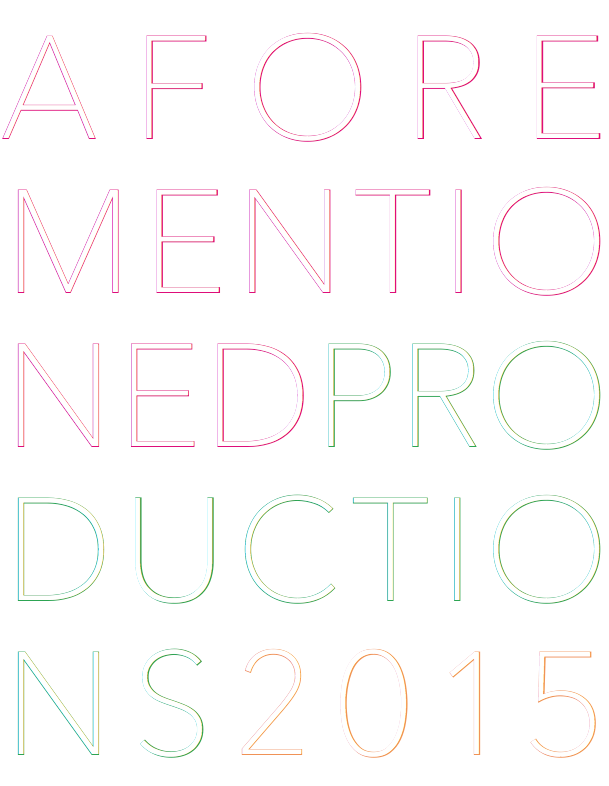 As an added bonus, SPD has some titles we’re sold out of: like issue 3 and 5 of apt! So there’s no time to lose! Head over the the Aforementioned page at the new SPD site and check out their other fine titles while you’re there! It’s been in Kirkus Reviews. Now it can be on your bookshelf. You can order your copy of Susan McCarty’s debut collection here. June 15, 2015. Welcome to the world, Anatomies! Dear readers, Susan McCarty’s debut collection, Anatomies, is only two weeks away! Garnering praise from Kirkus Reviews and Esquire, you shouldn’t need another reason to order a copy—but just in case you do, watch the book trailer below, then head over to the presale page! Incentives and presale prices valid through Sunday, June 14! Preorder your copy of ANATOMIES today! And we say, the time has come: The presale Anatomies has officially begun! We’ve got incentives for every budget, and they cover everything from informative pamphlets to trips to New York to tours of an Iowan alpaca farm. Regardless of which you choose, you will not want to miss this book. Order your copy today! 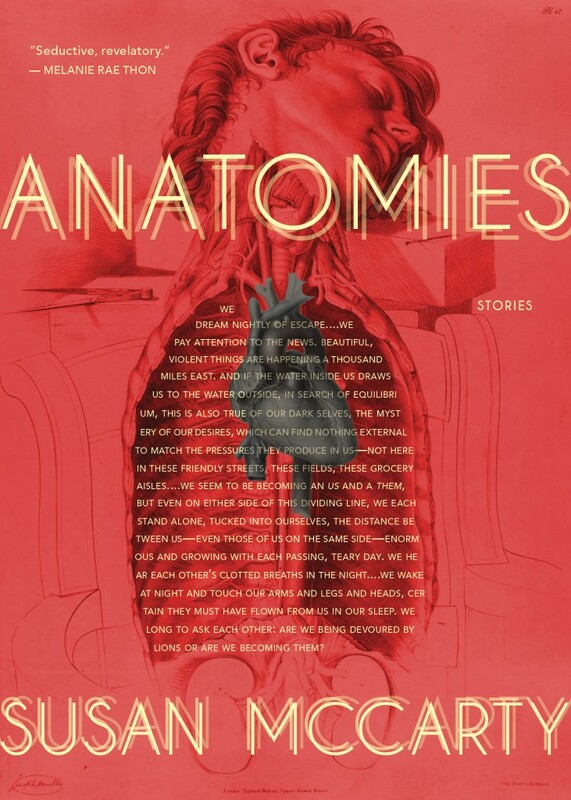 More great news for Susan McCarty’s collection, Anatomies! It makes me so eager for June! 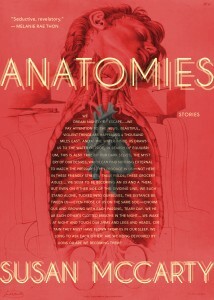 Check out all the praise, as well as a synopsis on the Anatomies page, here. Exciting news: we’ve put together a catalog for all our titles, including the upcoming issue of apt, as well as Susan McCarty’s Anatomies! A must-see for librarians, booksellers, and lit professors looking for contemporary lit to teach.